D.O. Valdeorras is the most inland Galician winemaking region, and one that was almost forgotten to history until a rediscovery in the 1980’s. A rainy, sleepy valley formed by the Sil River as it meanders and cuts its way through the slate rich mountains, Valdeorras is a region with a rich history that dates back to the Roman times. Named for gold mining during Roman times (Val-de-Orras in Latin roughly translates to Valley-of-Gold), after the supply of gold in the mountains was exhausted they turned to viticulture as the main economic industry. Godello and Mencía, Valdeorras’ most important indigenous varieties, were absolutely wiped out by the phylloxera plague at the end of the 19th century, and unfortunately, most of the vineyards were replanted with Palomino, a cheaper neutral grape that was widely available. Godello production was lost to history, and the variety was almost extinct at the end of the 1980’s, when it was revived by a few select producers. Jorge Ordóñez was the first person to introduce Godello into the United States, as he was intrigued by the potential and complexity of this esoteric grape. It has become very popular, but producing high quality Godello remains one of Spain’s biggest viticultural challenges. There is simply a lack of high quality Godello vineyards, as most are very young and were planted at the earliest around 30 years ago. There are however, a select few ancient vineyards planted at the turn of the century that until recently were mostly family owned and used to make wine for local bars. Bodegas Avancia is one of the only producers in Valdeorras who works with these century old vineyards, and one of the only producers that truly use 100% Godello in its white wines. Due to the scarcity of Godello, many producers blend Palomino and Treixadura, grapes that are not indigenous to Valdeorras, into their white wines. Bodegas Avancia champions authentic viticulture and winemaking in Valdeorras by exclusively using very old head trained vineyards, avoiding young vines planted on trellis. The expression of Mencía in Valdeorras is very different than the wines that are produced in nearby Bierzo and Ribeira Sacra, regions that are more famous for red wine than Valdeorras. The combination of warm climate, high altitudes, and pure black slate soils produce elegant, intense, and lush Mencía. Valdeorras is the warmest region in Galicia, and as a result, produces lusher, fuller wines than what can be found in Ribeira Sacra. This is not at the expense of elegance, however, as the slate soils and high altitudes produce elegant wines with balancing acidity compared to the rustic expression of Mencía from the sandy soils in Bierzo. 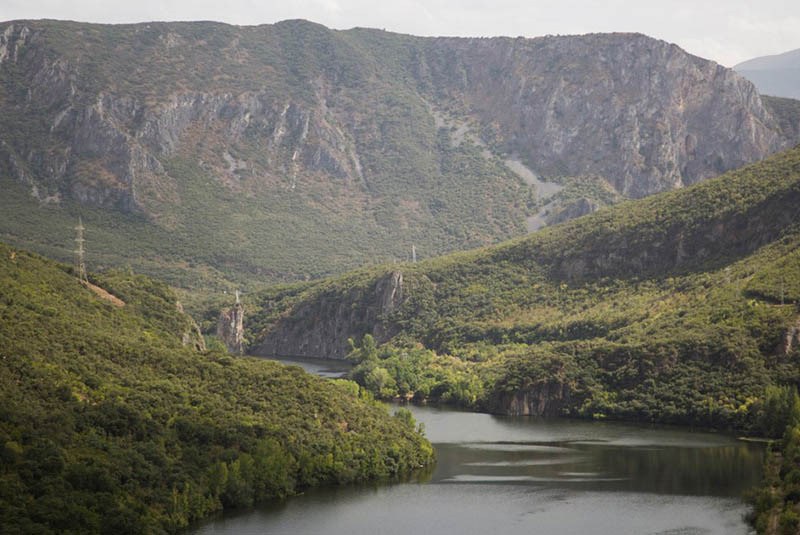 The Sil River valley has proven to be a challenging and intriguing region with vast potential for the production of some of the highest quality wines in Spain.